A pair of puppeteers make their way to Antarctica to record, "the sound of ice and nothingness" for a stage play. Quite the research trip. ANTARCTICA – I have to tell you that you definitely do not go to Antarctica for the food or good shopping. In fact, you will find very bad food and no shopping. In the defense of the chefs in Antarctica, there isn't really access to fresh food, so we are dealing with a large array of edible objects in shades of beige, things that come from cans, and more meat than you had ever planned on eating in your life. Oh, and soft serve ice cream that leaves a nice waxy coating on the inside of your mouth. I did, at one point, give up on meals for the ice cream alternative. Until I realized that the ice cream contained no cream. In short, it's a serious challenge for a chef. I'd love to see Iron Chef Antarctica. No, you do not travel to Antarctica for the food. You do send a postcard, however, which you can purchase from the general store. And you do mail it. This is probably the best deal one can encounter: For 37 cents, someone will take a postcard from ANTARCTICA and deliver it to your front door. How is that possible? You go to Antarctica because you can't go to outer space. You go to Antarctica because you want to see and experience a landscape that has been virtually untouched and unchanged for millions of years. You go to Antarctica because no one owns it. 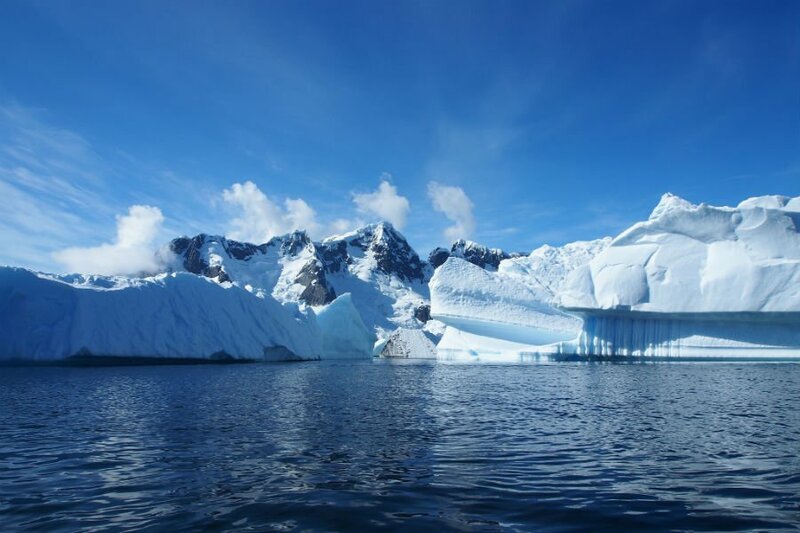 It is dotted with a few small international research stations where scientists are largely doing work that has either a direct or peripheral emphasis on climate change. We went to McMurdo station on the Ross Ice Shelf and to the South Pole Station, the geographic South Pole, the very bottom of Earth. Every year, The National Science Foundation funds six artists or writers working on Antarctica-inspired projects. My husband and I have a theatre company, , and we are making a performance piece and a future dreamscape of Antarctica — there will be marionettes and dancers on stilts. I think we were probably the first puppeteers to apply to go to Antarctica to research for a puppet show and that made an impression. Upon arriving in New Zealand at the US Antarctic military airport, we were issued three huge emergency orange bags of gear. ECWG — everything is an anagram or an abbreviation — means Extreme Cold Weather Gear. We spent a few hours trying on every kind of winter garment that you could imagine in triplicate. In advance, we gave them our measurements (as well as the most intensive health reports that you can imagine, as you cannot go to Antarctica if you have so much as a cavity). I was in a dressing room with a bunch of tough military chicks and you can imagine how it went over when I approached the size exchange window to request another coat. I wanted the older model with real fur trim (cue eyes rolling across the continent). For the record, I did get Big Red (as everyone affectionately called it) — a very large, very red, very warm coat that I would wear at all times. I must say that I was never cold due to this coat, not to mention a pair of insane blue boots that were issued to me. All coats are bright red in case you get lost; they need to be able to spot you from the helo, short for helicopter. We had helicopter access and flew up and down the coastline and over the dry valleys (one of the world's most extreme deserts and the place on Earth most resembling Mars) near Mount Erebus (an active volcano resting up against a glacier) and to a few historic explorer huts. We took a "cruise" on a Swedish icebreaker called The Odin to Beaufort Island, a plot of land inhabited by 150,000 penguins, who are all standing on the beach waiting to greet you along with some rather gigantic Wedell seals. We flew across the continent in the cockpit with some generous US Airforce pilots. What we actually did: Listen and absorb in a way that we have never done before. It is all that there is to do. You stand on the edge of the continent and look into and over it and honestly you don't even know what it is that you are looking at. Is it land, is it sky, is it a mirage, a cloud formation? No plants, no animals (except in the sea), no insects. It's disorienting. There is nothing to give you a sense of scale (except your own body), and so finally you forget that you exist at all in order to be completely transformed by the frozen desert. I love the Ernest Shackleton quote, "What the ice takes, the ice keeps." He was referring to his ship — the one that ultimately stranded him and his 28 men for two full years — but I very much felt that the continent had taken a part of us. Or, rather, that we willingly left part of ourselves in Antarctica.